It looks like a solitary rugose coral (horn coral) to me. Part of a leaf, ? Fish fin? I'm not familiar with area's fossils. Neither a rugose coral nor a bryozoan are likely to be found in an Eocene freshwater lake deposit. My first impression is of a partial winged seed (samara) or flower petal. The veination is more consistent with the latter. First off, thank you for leading me to search Florissant, Colorado. That led me to the fossil park of the same name. I now have a new must see to add to my list of places to go. I wonder what environment led to the fossilization of so many insects in one place? I have attached a link to the google images page and will leave it up to you to cull through all the insects, but I do believe what you have is part of an insect wing. And I realize you did not find it exactly there...but I'm sure there are plenty of common insects in both places. At over 3 inches, that would be a big bug! Although the fossils are similar, Florissant and Douglas Pass are from two distinct formations. Douglas Pass is part of the greater Green River fm. (Parachute Creek member) while the Florissant Fossil Quarry is Florissant fm. which is a bit younger at about 35 mya. But I agree with FossilDude19, it looks like a leaf, maybe ginkgo. Lots of leaves and insects. Fish from Douglas Pass can be counted on a single hand... and possibly only the thumb. FossilDude and PaleoNoel have hit it on the head, in this writer's opinion. Thank you for telling me that, I thought it was the other way around! Neat piece...Yeah I'm inclined to say Ginkgo as well as most have said...My brain aint working...cant remember the species present. I am looking at them and they look really similar in the striation pattern, it is the actual shape though, that I cannot find and that is throwing me. I am sure there are many variations of leaf structure though. That was my first thought as well as it seems to have that little nodule in the end. But what kind? I could find nothing like it. I do have Acer wings though, they are some of my favorite. Finding an Acorn is at the top of my bucket list! 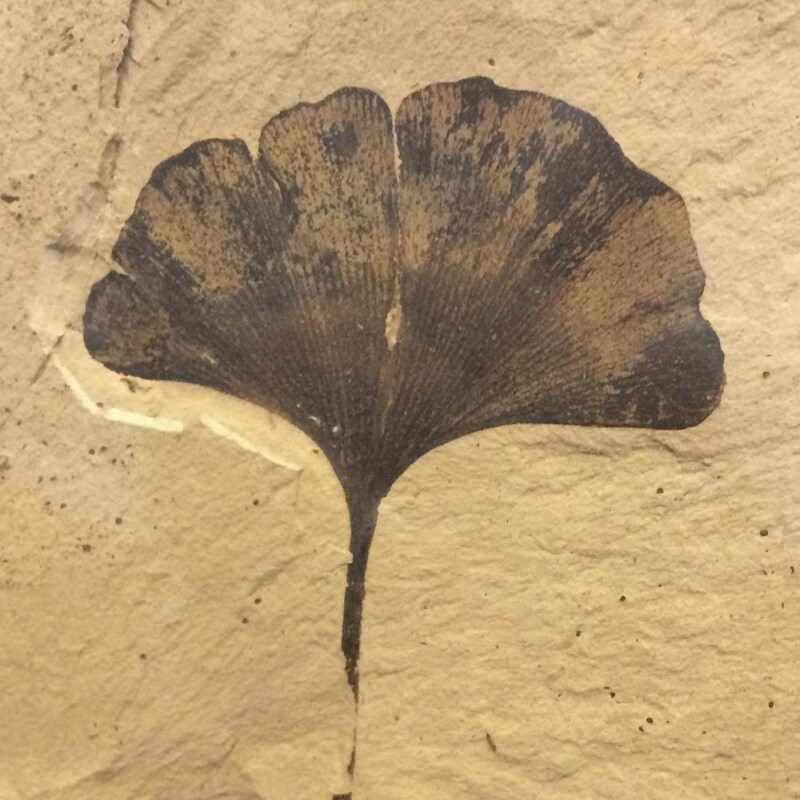 Ginkgo fossils are not reported from Colorado. The parallel venation of the posted large fragment matches better with Zingiberopsis or similar. Zingiberopsis, a fossil genus of the ginger family from Late Cretaceous to early Eocene sediments of Western Interior North America. 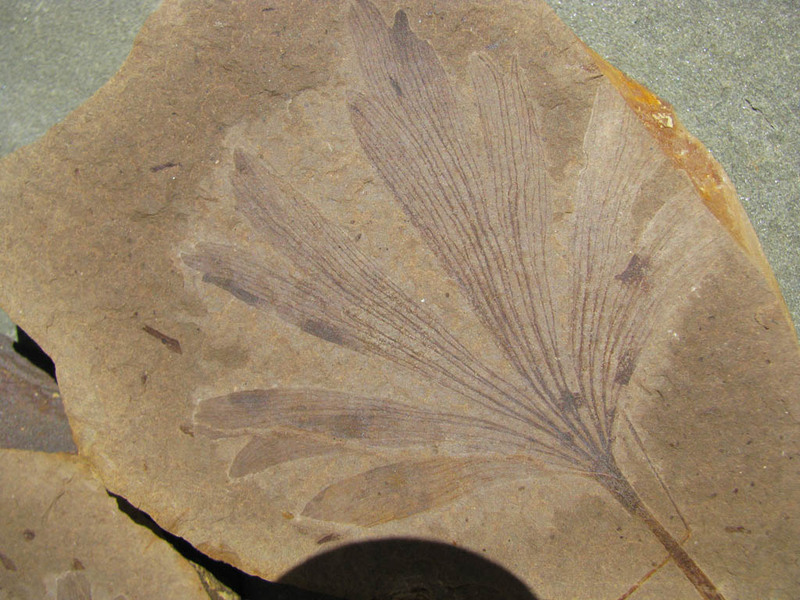 Ginkgo fossils are not reported from Colorado. According to the "Friends of the Florissant Fossil Beds Newsletter"- PDF that Nylatay posted above they have been found there now. Apparently it hasn't been officially published? by Bret Buskirk and Herb Meyer, Phd, FFB Paleontologist Early in the afternoon on July 11th, a species new to the Fossil Beds was discovered during a test excavation by the Paleontology crew at the monument. 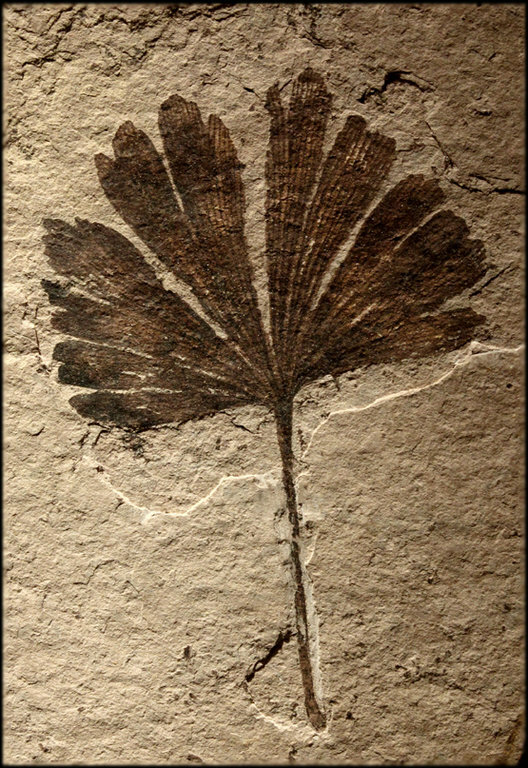 A Gingko leaf was found preserved in the 34 million year old lake shale. Having no prior ginkgos described here makes it a first for the park. This specimen helps to provide an enhanced view into the ancient forest that grew at Florissant just before the Eocene-Oligocene boundary, when a major climate cooling took place. 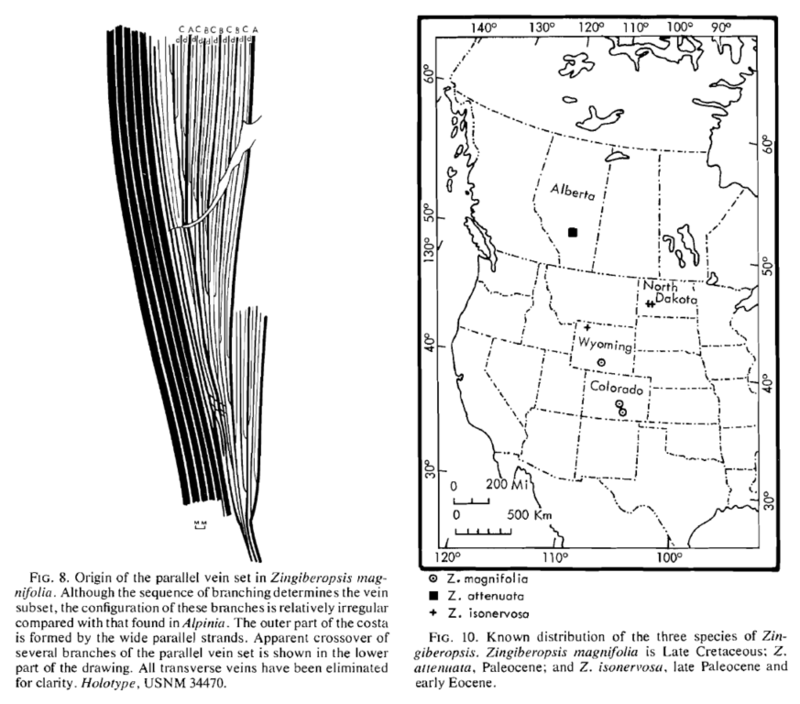 It also provides evidence for a wider geographic range than previously thought for ginkgos during the Eocene. They have currently never been found from Eocene floras farther east than southwestern Montana. Finding this fossilized ginkgo has given the monument one more piece to the puzzle that is the Florissant Fossil Beds. Ginkgo biloba is the only known surviving species of the Ginkgoales, a group of primitive gymnosperms. Ginkgo exists today solely in cultivated stands of trees and or as an ornamental used in landscaping. Although there are reports of possible natural occurrences of Ginkgo in China, it is uncertain whether the trees would have survived without cultivation over the millennia. Trees were commonly planted in temple gardens, perhaps because of their medicinal qualities. Their survival has relied purely on human intervention. The Ginkgoales have existed since the Late Paleozoic, over 250 million years ago, and they were widely distributed and more diverse during the Mesozoic. They are commonly found among temperate climate fossil floras and thrive in temperate and subtropical areas today. There are abundant Ginkgo fossils found on the West Coast of North America from places like the Miocene Ginkgo Petrified Forest outside of Ellensburg, Washington, and the Eocene and Miocene formations of the John Day Fossil Beds in eastern Oregon. Both areas have fossil floras that exemplify temperate to subtropical climates. As well, the Late Eocene to Early Oligocene Beaverhead Basins, in Southwestern Montana, have floras that are most similar to Florissant’s and previously had the easternmost Ginkgo fossil found in the continental United States from the Eocene. The new fossil Ginkgo from Florissant demonstrates that the geographic extent of Ginkgo was far larger than previously thought. 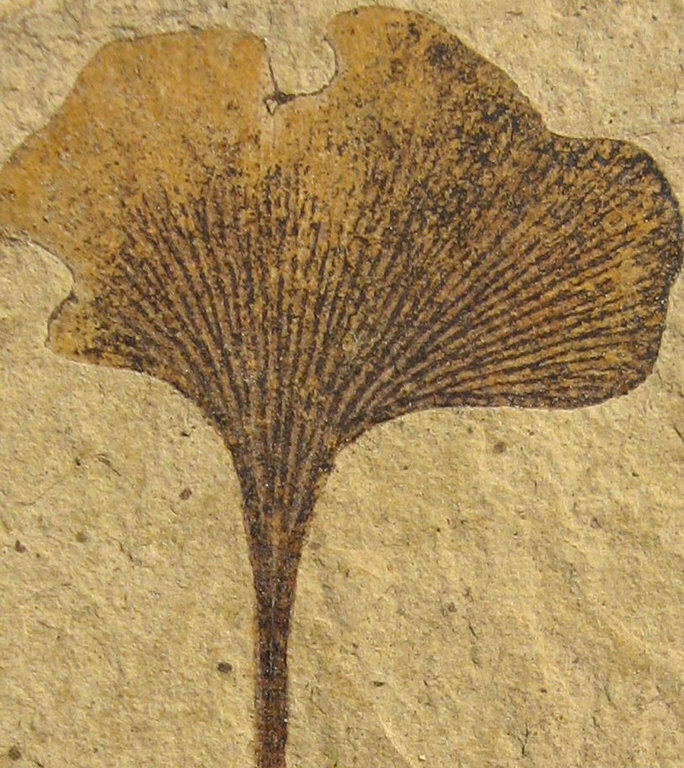 The fossil is indistinguishable from the modern Ginkgo biloba and is the first fossil record for this species from Colorado. The fossil itself is no larger than a deck of cards. 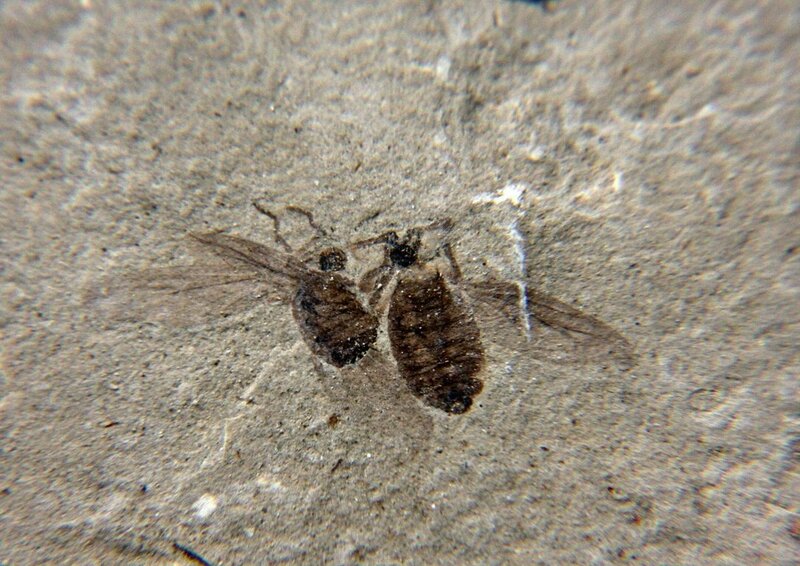 It is 2 by 2.5 inches, and both part and counterpart of the fossil were collected. 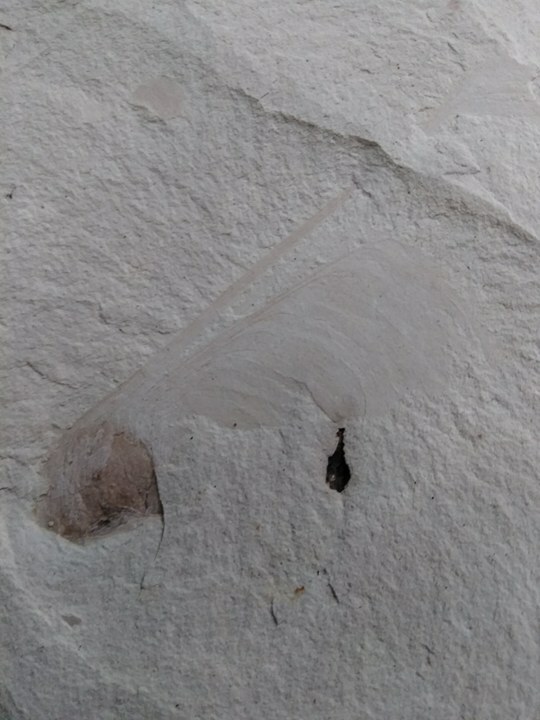 Having been preserved in lake shale, the fossil is incredibly fragile and prone to breaking, and because of this, careful stabilization techniques have been used. Since the discovery of the specimen, it was mounted and reinforced on additional pieces of shale and has been nested into a bed of conservation sheet foam that was cut and molded to its shape, helping to ensure that no disturbance or destruction should befall the specimen. Paleontology at Florissant Fossil Beds National Monument is an ongoing endeavor in which amazing discoveries are still being unearthed. New information is constantly being gathered, detailing how life existed here more than 34 million years ago. To discover a fossil so rare and finely preserved as the Gingko is quite an extraordinary find. Scientific collecting at Florissant over the past 135 years has amassed more than 40,000 specimens, yet even with such huge collections, this summer’s find represents Florissant’s first and only fossil Ginkgo! 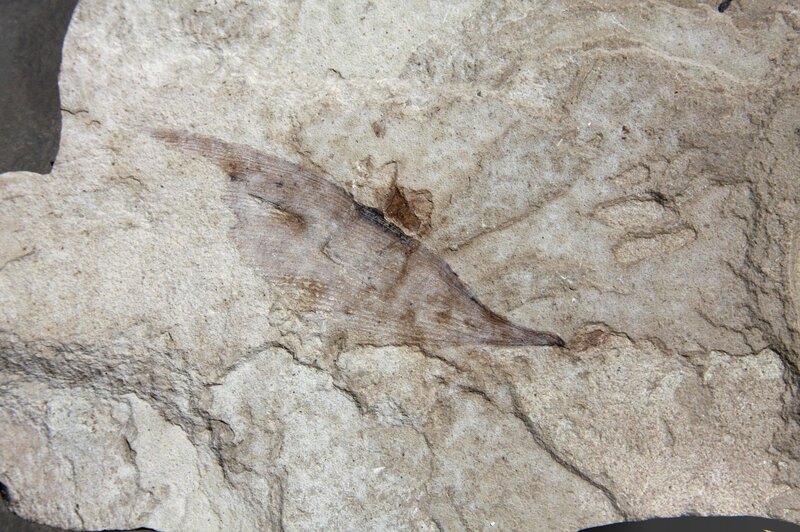 We can only hope to continue finding such amazing fossils here at the Monument in the future. "